It's the first day of summer. And it's a scorcher. Let the cool summer street style begin! 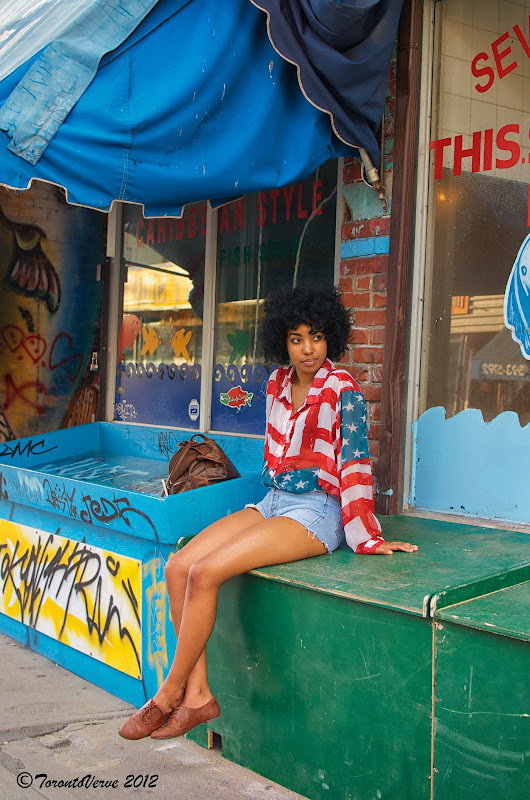 "My style is very carefree -- it's how I feel and how I want to portray myself." Fabulous photos for the first day of summer! Vibrant variety of colour with her clothes and the backdrop of the Market. Good "catch of the day"!